3D Robotics is closing its San Diego facility, has reduced its staff at its Berkeley headquarters and in Austin, and acknowledged that co-founder and president Jordi Muñoz left the company at the end of 2015. The latest staff reductions follow more extensive layoffs that took place at the end of 2015 after 3DR shifted its manufacturing operations from Tijuana to Shenzhen in order to economically mass produce their new Solo quadcopter which was intended to compete with DJI's Phantom line of quadcopters. In an interview with Xconomy's Bruce Bigelow, Chris Anderson, co-founder and CEO, described the changes as something that was part of 3DR’s plan all along. "This is a consolidation we’ve been working on since before October of last year. As we shifted from the DIY era to consumer and to enterprise customers, we ended up with a different organization each time." Anderson omitted talking about the problems 3DR faced with their Solo drone. The Solo started off with a flashy launch video that introduced the product about a year ago. DJI, at about the same time, released their new Phantom 3 with a list of features that surpassed the Solo. Because of producing and warehousing drones in China, 3DR made too many Solos particularly given how fast competitors were dropping prices and flooding the market. They built up a massive and costly inventory. Furthermore, a fully equipped Solo was priced too high for the market. 3DR was forced to lower prices to just $799 plus $199 for the gimbaled platform (down from the initial price of $1,000 and $400). 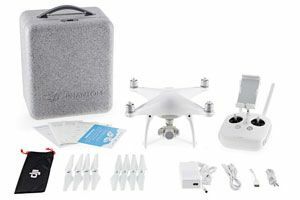 Keeping up the pressure, DJI cut its Phantom 3 prices ahead of its launch of the Phantom 4, an even smarter and more sensor-laden drone all-inclusively priced at $1,399. In another interview with MarketWatch, Anderson said that 3DR was moving to the commercial market due to heavy competition in the consumer drone marketplace. "DJI is doing great, it’s because they are moving so fast, it’s forcing the others to adapt. Some companies are adapting by leaving, and others are adapting by moving upstream to the enterprise, which was always our plan. And [that move] is just accelerating right now." 3DR will now be focusing more narrowly on enterprise customers that are interested in using drones for such projects as utility line and pipeline inspections, and construction site inspections. As part of that move, 3DR announced the release of its Site Scan aerial analytics platform earlier this month. The technology enables corporate customers to conduct inspections and scan work sites with the Solo smart drone, and transmit the data to the cloud for processing and analytics. The system has a software-as-a-service monthly subscription model, which integrates Autodesk software, where using the 3DR Solo drone, businesses can upload aerial images, analytics and other data to the 3DR cloud. The system uses a tablet from Sony, a GoPro camera and starts at $3,249 for the hardware. ​Anderson remains CEO, and Jeevan Kalanithi, 3DR’s chief product officer, becomes president. 3DR had ramped up to more than 350 employees but, with the current layoffs, will be down to below 80. The company’s former president, co-founder Jordi Muñoz, left the company last year as part of the ramping down of 3DR’s operations in San Diego and Tijuana. The maker of advanced humanoid and 4-legged robots (BigDog and Atlas), Boston Dynamics, is up for sale. According to the Financial Times, "this is one of those discordant moments that makes you question easy assumptions... and the current state of Alphabet and of robots." Google acquired Boston Dynamics in late 2013 as part of Andy Rubin's 9-company shopping spree. At the time the company had 80 employes and many millions of dollars of research contracts from DARPA and the DoD. Although no financial information was provided at the time, various sources have estimated that Google paid $60 million plus extensive stock options. A more recent guesstimate from The Dallas Business Journal was $500 million. This recently released Boston Dynamics video of a humanoid robot trudging through the snow and being pushed over has been seen by almost 15 million viewers, but not enough to convince Google that it would generate real revenue. Consequently Alphabet, Google's parent company, has decided to sell Boston Dynamics "as it is not likely to produce a marketable product in the next few years," Bloomberg News reports, citing two people familiar with the plans. Possible buyers include Toyota’s research institute and Amazon, which makes robots for its fulfillment centers, according to the Bloomberg report. Earlier this year The New York Times reported that "Google's robotics division has been plagued by low morale and a lack of leadership since the unit's founder left abruptly in 2014. "Alphabet, the new holding company that separated Google from its collection of speculative projects, has reframed the robots effort, moving it from a stand-alone division inside Google to a piece of the X research division. The company has also hired Hans Peter Brondmo, a technology industry veteran who last worked at Nokia, to help with management. X is using some element of robotics in numerous projects like self-driving cars; Project Wing, an effort to deliver packages with drone aircraft; and Makani, an effort to capture wind energy with high-flying kites."